Your opinion matters. 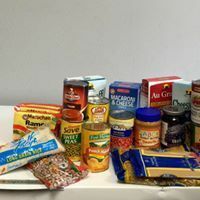 Leave A Review Or Edit This Listing for Living Waters H2O Food Pantry . Our H2O Food Pantry currently is opened. First time guests are asked to bring their driver's license and fill out a short form. We are always looking for volunteers and donations to help us feed our community. We always need more information on our pantries. If you know of any details, volunteer information, website, hours or more description information about Living Waters H2O Food Pantry please add a comment (below the map on this page), with information. We will then display this for all visitors on this page.